Dr. Neeraja Dasari gives a detailed explanation of the risks factors associated with lung cancer. 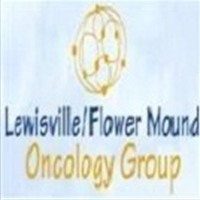 Lewisville, TX, Nov 24, 2018 – Smoking is considered the most significant risk factor for developing lung cancer. The risk of lung cancer rises with the length of time and the number of cigarettes one has smoked. Quitting smoking can reduce a person's chances of developing the disease. Some risk factors of lung cancer such as smoking can be changed, but others like family history or age cannot be changed. But having risk factors does not necessarily mean you are going to get the disease because even some people who get lung cancer have no known risk factors. • Smoking – Smoking is the leading risk factor with about 80% of lung cancer deaths resulting from smoking. The risk of lung cancer in smokers is very high. Cigar and pipe smoking are likely to cause lung cancer just like cigarette smoking. Inhaling second-hand smoke can also increase your risk of developing the disease. • Exposure to radon – Radon is a natural gas that comes from a breakdown of uranium in rocks and soil. You cannot smell, taste or see radon. Radon is considered as the second leading cause of lung cancer and a leading cause among non-smokers according to the US Environmental Protection Agency. Breathing in radon exposes the lungs to radiation in small amounts and may increase one's risk of lung cancer. • Exposure to asbestos – People who work in mines, textile plants, mills, plants, shipyards and places that use insulation are exposed to asbestos and are likely to develop lung cancer. The risk increases even more if the worker also smokes. Large amounts of asbestos exposure can also result in mesothelioma which is a type of cancer that develops in the pleura (a lining that surrounds the lungs). “Lung cancer is not preventable,” continued Dr. Neeraja, "But you can reduce the risk by quitting smoking or avoiding exposure to second-hand smoke, radon, asbestos, and other harmful carcinogens. Early detection through regular check-ups in high-risk cases is the best way to get lung cancer treated on time."